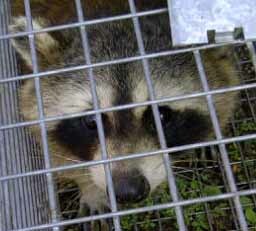 VT Diaries Raccoon War Day 4: VICTORIOUS! 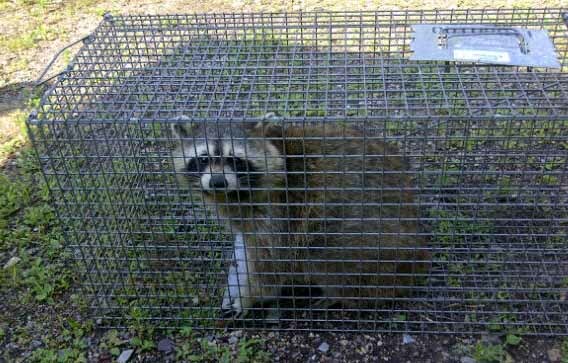 We caught the diabolical fiend & he turned out to be a docile, whipped, on the rather large-size, raccoon that once caught, looked resigned to entering the ‘We’ve-Had-It!‘ relocation program. Had he been caught & released before? Karin heard the trap snap shut at 1:30AM but didn’t hear any screeching so she went out to investigate – plus Nikki needed to relieve himself. 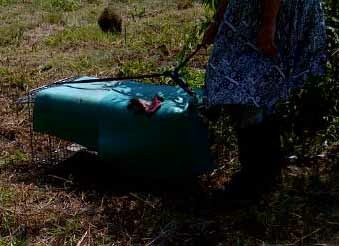 She found the raccoon sheepishly caught in the trap! Now she could get some much needed sleep while Maddie the cat & I slept through the whole thing. 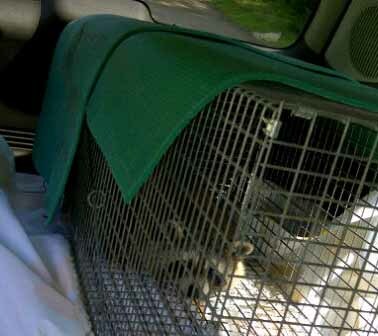 Karin woke me up at 8:30AM (she couldn’t wait any longer) to assist in putting the raccoon in the car for the relocation transport out to the country. She said that the raccoon needed wetland & forest for proper release – so we drove down dirt roads looking for marshes & small ponds. 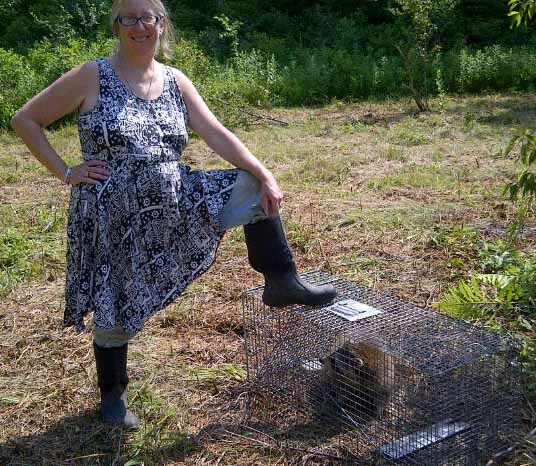 When she found the perfect site that was far enough away (over 5 miles would do just fine) we stopped in a wooded lot & dragged the trap from the car. Karin donned her Wellies and gloves & released the clamps which dropped down the trap door & the critter backed out then ran for the woods! 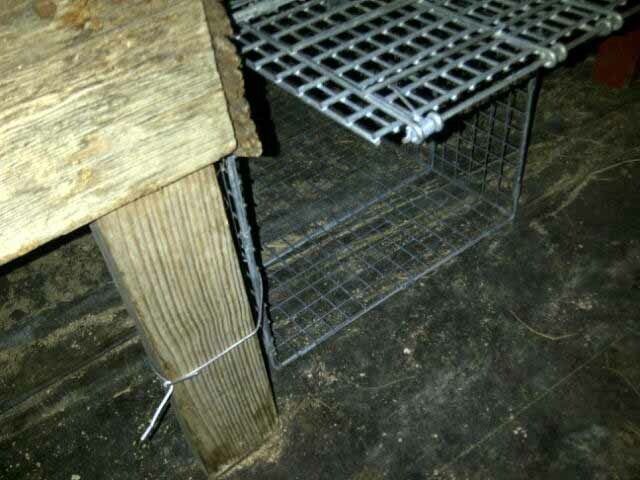 Raccoon received 4 gourmet meals, Humans paid $36 + gas money to trap & relocate high-living Raccoon. I’d say Even-Steven all around! What had started out as a common animal removal became a challenge Karin wouldn’t let go of – Russ, the next door neighbor advised to shoot the raccoon but Karin wouldn’t even consider that outcome. Karin has faced very determined bandits: duck killing weasels, marauding skunks, dastardly raccoon thugs that tore apart animal pens, and red-tailed hawks that killed her beloved Norwegian Blue duck June Bug in front of her eyes. Each bandit brought changes to Karin’s penning system: better closures, wire planted into and under the soil, metal containers replaced plastic, reenforced rope, etc. Bit by bit the animals came closer to the house – the chickens now roost under the cherry tree right off Karin’s side porch in a fancy glass enclosed 2-story structure, while the duck’s house is nestled right behind the greenhouse. Sadie, the new tame Muscovy duck, is summering under the apple tree in a souped up rabbit hutch with security locks on the front doors. The rabbit lives in a low-to-the-ground fortified hutch on the porch. Now here’s the kicker: Karin rarely locks her front door – I have to keep after her to lock up when she leaves during the day and at night. As a Massachusetts city dweller I would never think of leaving anything unlocked anywhere, anytime! 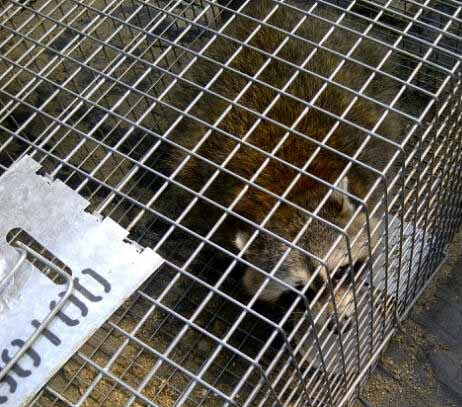 We have bandits of our own – the difference is we can’t catch them in a humane trap!